Another day, another chance to gift you beautiful people! 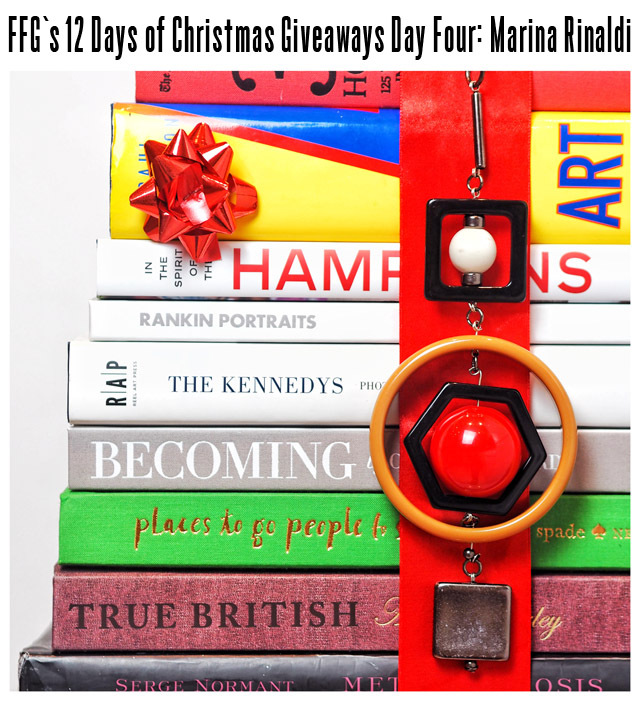 On day four of FFG's 12 Days of Christmas Giveaway, I have a very special statement number from none other than Marina Rinaldi. This necklace is larger than life. No really, it hangs about a foot down the body. It is a serious statement if I ever met one and it's been one of my favourite accessories of the season. As such, it seemed appropriate for us to give a brand spanking new one to one lucky reader to give life to this beauty over the holiday season. While I'm pretty sure you now get the drill on how to enter, here's a quick reminder. Click over to Instagram and click on the Marina Rinaldi Necklace post. Leave a comment stating how you'd wear the necklace, before 10pm GMT tonight, and I'll pick a random winner at the close of the competition. Then, all you have to do is keep an eye out in your direct message box and wait for some good news. If you don't win today, never fear! There are still eight great days of Christmas left, and each one comes with a stellar giveaway. I'll give you a tiny hint about tomorrow... you have some sweet things to look forward to!